After months of planning and debating, the New Jersey marijuana legalization bill was set to be voted on. The bill is called the New Jersey Cannabis Regulatory and Expungement Aid Modernization Act. In the middle of the Northeast’s marijuana expansion, the bill put New Jersey on its way to becoming the 11th state to legalize marijuana for recreational use. The state would also be the nearest legalization to New York City, the nation’s biggest city. Despite all of the effort put into passing the bill, the legalization vote was canceled by Democratic lawmakers on Monday, March 25 and postponed to an unknown date in the future. Expedite expungements of marijuana offenses. The Act needed 21 votes in order to pass in the Senate. Many legislators hoped it would pass, believing it would send a big message to the rest of the country about the legalization of marijuana. These legislators were not alone, as polls showed the majority of New Jersey residents supported the notion as well. Despite this backing, several other legislators did not agree with the legalization and pushed back on the bill. 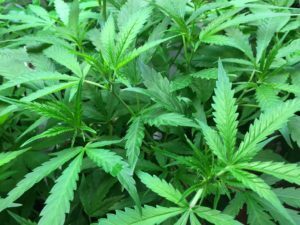 Senate members argued back and forth over the potential impact the bill would have if marijuana was legalized in New Jersey. Concerns were raised regarding the increase of crime in urban areas, people driving under the influence, keeping drugs away from kids, and the effect it could have on public health. Although the vote passed through the Assembly Appropriations and the Senate Judiciary Committees last week, only 17 or 18 Senate members agreed to vote yes leading into the next vote. This left the bill roughly 4 votes short of passing.